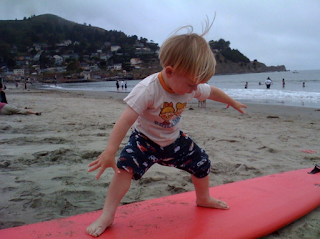 We went to Pacifica on Friday to see Cambry surf. Osky found the instructors board and was going for it. Gotta get him in the water ASAP! great stance! bring him here so he can surf with Virg. O my gawd, he is so stinking cute! !